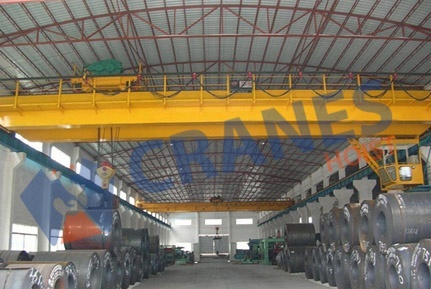 We are prominent manufacturer and exporter of overhead EOT crane that is designed, fabricated tested as per international norms and conditions. It is built with IS-3177. Our medium duty cranes are designed confirming class-I and II and heavy duty cranes are designed as per class-III and IV. 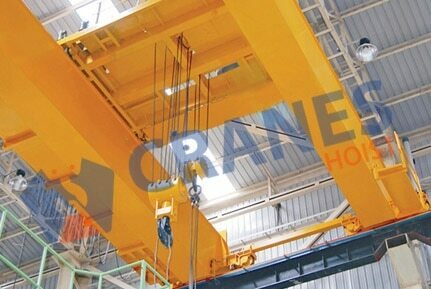 The hoists are made with confirming IS-3938. The structural parts of cranes are designed according to IS-807 structural steel parts are designed according to IS-226 global standard. Wire rope is made confirming IS- 2266 and steel forged hook is fabricated according to IS-3815. 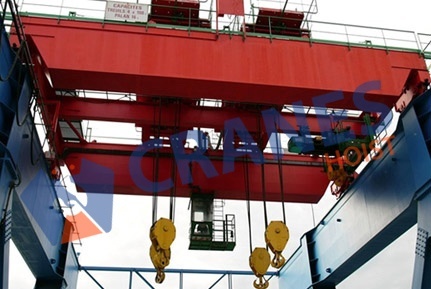 Our all ranges of overhead E.O.T cranes are provided with crane duty motors that supports the unit with frequent starting, reversing and breaking. It is built as per IS 325. All trolleys are equipped with suitable brakes, AC/DC brakes to offer reliable and swift operation. It is provided with latest control system with emergency stop button. We also provide overhead EOT crane with micro speed arrangement for frequency inverters and variable frequency drives on demand.